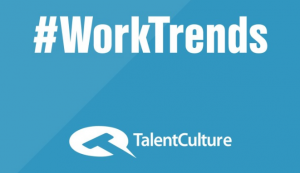 Join the Talent Conversation That Never Ends! Want a convenient way to connect with professional peers and talk about issues affecting the human side of business? Want instant access to smart ideas about the “world of work”? Then you want to be part of the TalentCulture Twitter Chat. I'm the Social Engagement and Marketing Coordinator for the Talent Acquisition team at Deluxe Corporation. Please feel free to connect with me if you are looking for a career in Sales, Customer Service, IT, HR, or Marketing!